On Sunday night I went to the Cheese 101: World Farmhouse Cheese and Wine class at Formaggio Kitchen, an amazing cheese store in Cambridge, MA. They also have South End Formaggio in Boston’s South end and Formaggio Essex Market in the Essex Street Market in New York, New York. If you are in Boston or New York you should really go because these people know their cheese and have a great selection. Try telling them you don’t like goat cheese, they will prove you wrong. 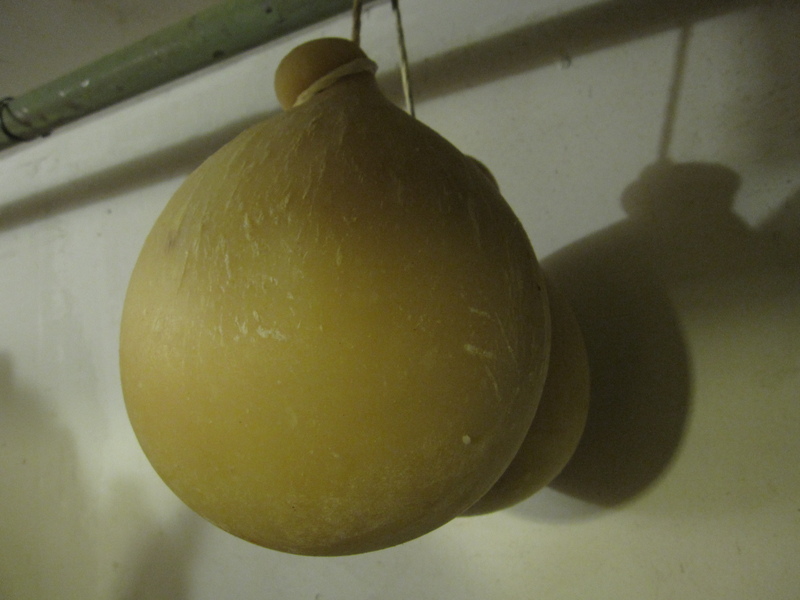 Are you looking for a brined cheese- they have it. Need a jam to go with that Blue cheese- they have it and it’s amazing. The class was taught by Kurt, the owners’ son, and Rachel. Both were very informative and just great people. 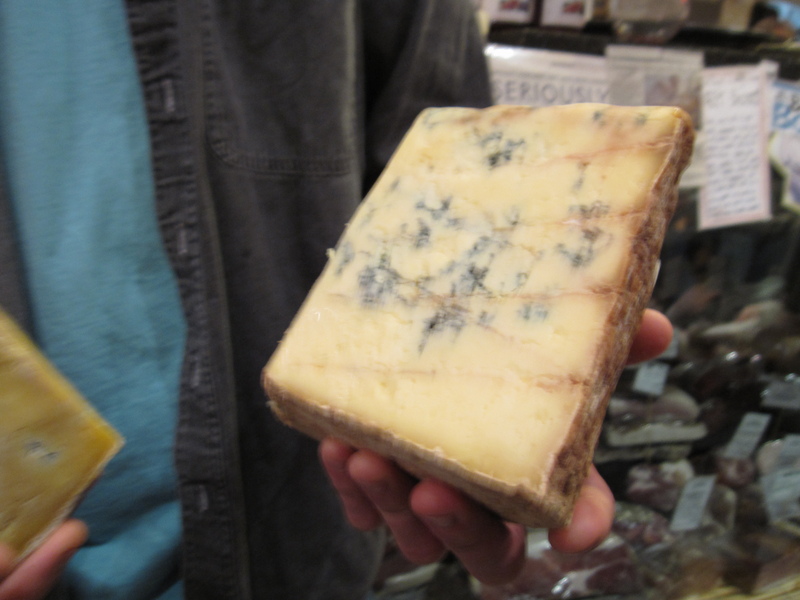 It really can feel intimating going into a cheese shop when you don’t know what you are looking for or what you want. They tell you to ask. Ask about the cheese, ask how it is made, ask what to pair it with, etc. Ask for a sample, and don’t feel bad about it either. They just want you to have something you like. While having amazing cheeses I learned a lot. I learned about the history of cheese, the basics on its production, how it gets moldy, how to sotre cheese, why cheese is waxed, how blue gets blue, and that moose cheese is the expensive cheese out there @ $500 a pound! Ouch! As the class went on we sampled cheeses, dried fruits, jams, honey, wine, beer, and cider. I enjoyed them all expect for a cow’s milk cheese, and the cider. I can’t remember which cow’s milk that I did not like but it smelled like the ocean, a foot, and seemed smokey. I braved it out and tasted it but it was not for me. 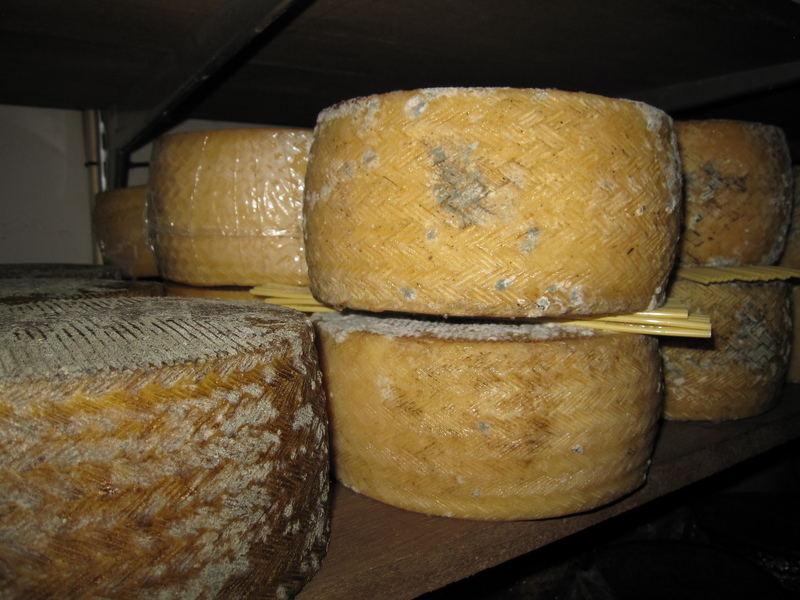 One of the best things about the class was that we went down to the cheese cellar after the tasting. 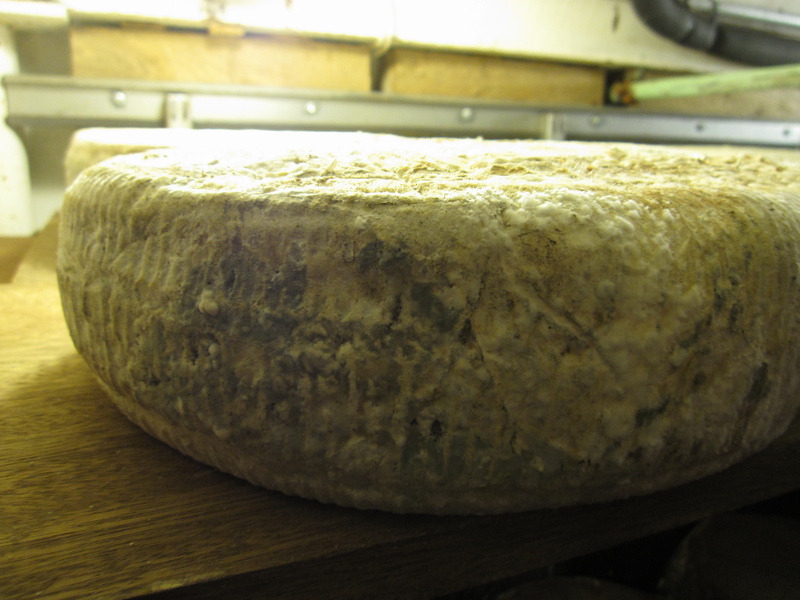 It was small, cramped, and stinky… pure cheese love there. I purchased some Stichelton since I was in love with it. Plus I got Price and myself baked apples that were baked in Wood’s Boiled Cider. I’m not a fan of baked apples since they typically seem undercooked or overcooked but I had to give it a try since they looked so good. 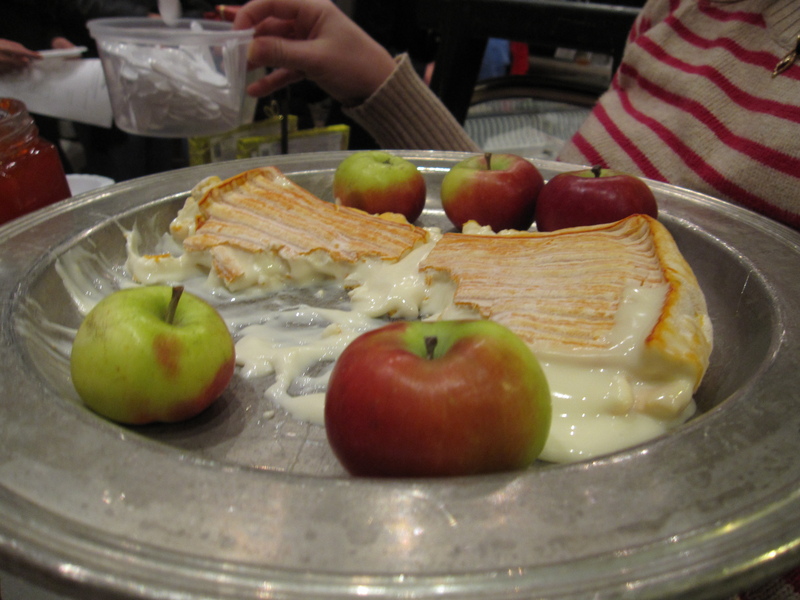 Plus apples baked in a reduction of cider had to be good- and they were! I got 3 French macaroons since I love them and it is now my mission in life to try them all over. (okay, that’s an exaggeration) Their strawberry one was the best. And a Peach Monin syrup, since I am addicted to Italian Sodas. The best was that all purchases were 10% off since I had taken the class. I want to go to CHEESE! 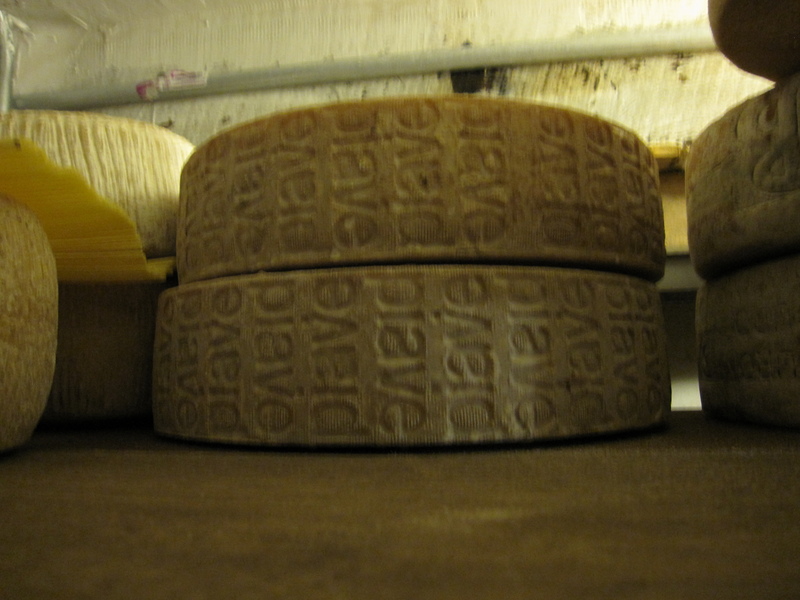 a huge biannual cheese event in Italy. Hmmm 2011 vacation? This sounds wonderful! 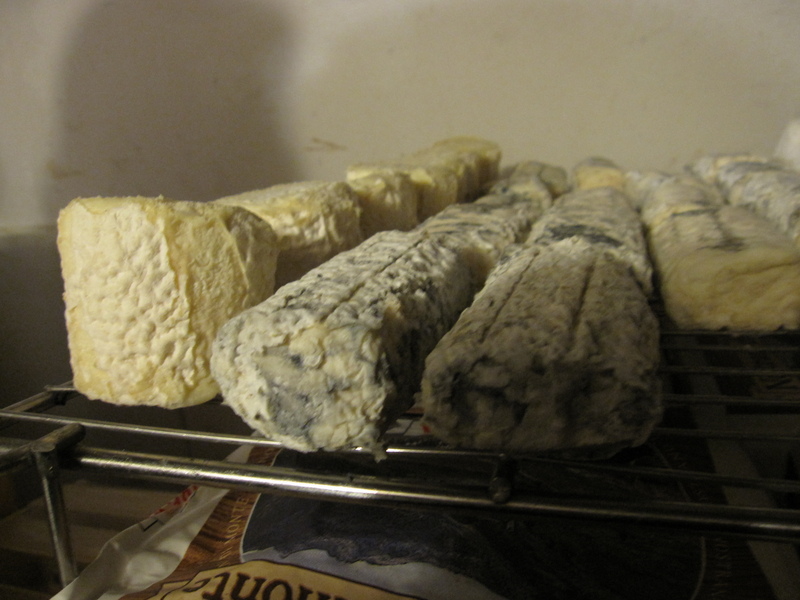 and I can still remember the odor of the cheese shop in Paris….the first runny cheese looks awesome. The cheese looks amazing. Maybe you should think about Paris for your next trip, your photos made me think back to my trip there. Might treat myself to some cheese and a good bottle of wine tonight ! !